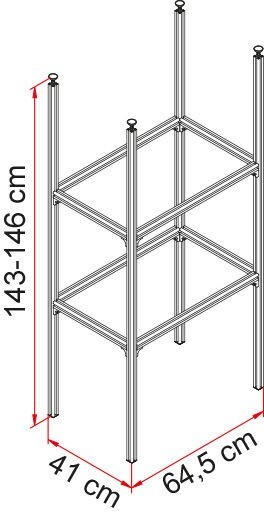 This initial shelving frame unit is the first part of the Fiamma Garage universal storage system for Motorhome garage compartments. 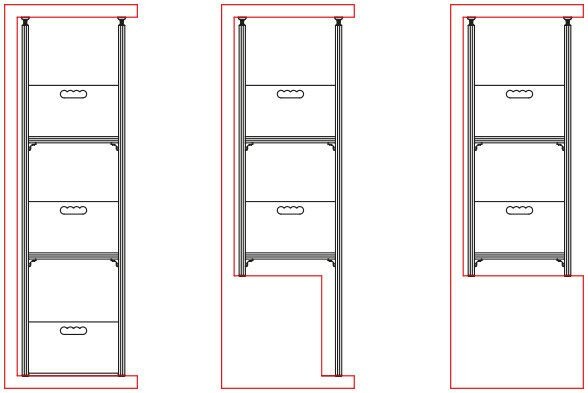 It can be used on its own as a single bay shelving frame, or upgraded with additional bays and storage boxes to suit any size or shape of motorhome garage compartment. 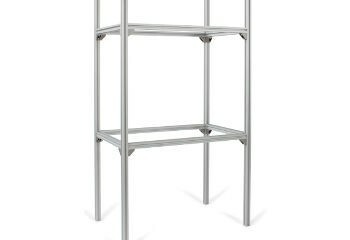 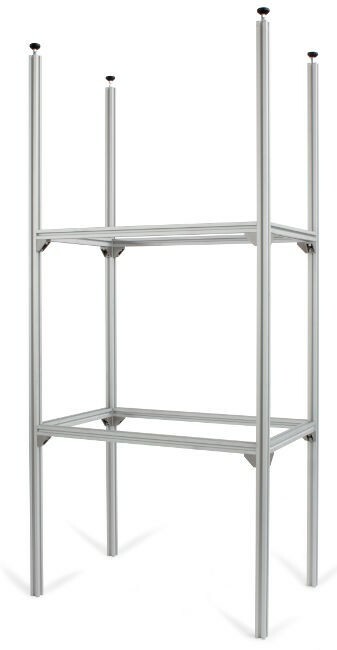 The Garage System Standard is a shelf frame unit consisting of 4 x upright legs and cross-members for 2 x shelf levels above the floor storage level. 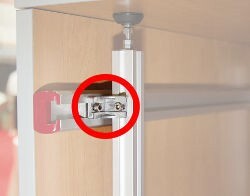 The shelf frame is secured in place by bracing against the locker floor and ceiling. 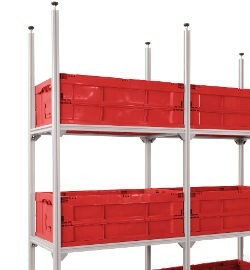 This kit includes all required fixings for standard installation. 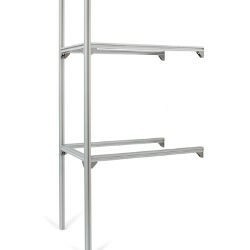 Suitable for motorhome garage compartments up to 146cm tall but it can be cut down to suit compartments with lower ceilings or to adapt the frame around stepped floors. 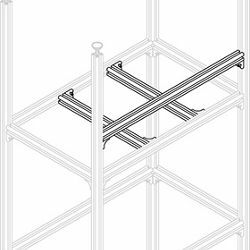 To make it suitable for garages with a higher, or adjustable height ceiling, the Fiamma Garage System Standard can be secured to the locker wall with optional Kit Garage Wall Brackets. 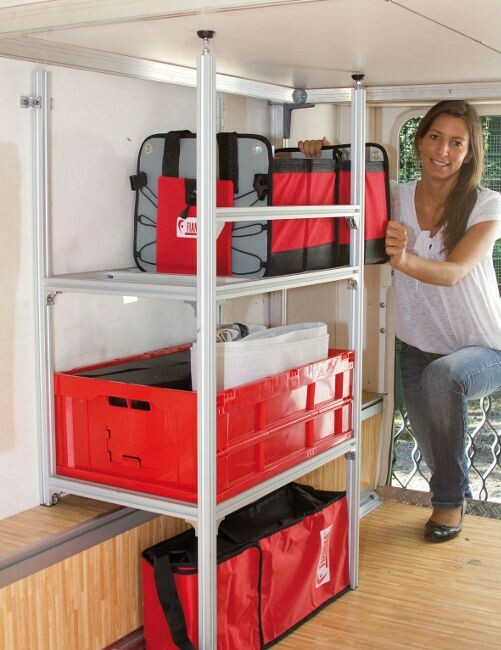 The Garage System Standard can be equipped with Fiamma Garage Boxes or Garage System Support, or the system can be extended by adding additional shelving bays with Fiamma Garage System Upgrade.